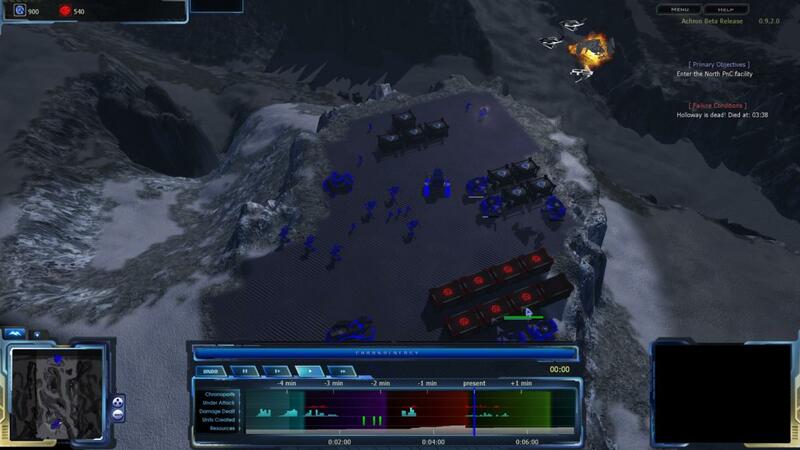 Much awaited innovative real time strategy game Achron has been released for Linux. Achron features single-player and multiplayer strategic gameplay with free-form time travel. Achron is a futuristic RTS featuring three species with vastly different playing styles where you create your buildings and army, explore the map, expand to acquire more resources, upgrade your tech tree, and engage in combat with your foes. One of its kind, Achron is a meta-time RTS game where players and units can jump to and play at different times simultaneously and independently. More hands-on gameplay details can be found on this RPS article. Achron is can be purchased for $29.95 from here. As of now only 64bit Linux binaries are available so keep that mind if you want to buy the game. However, there are already plans for supporting 32bit in future. An order for Achron will give you access to install any of the Windows, Mac, and Linux platforms that are supported.